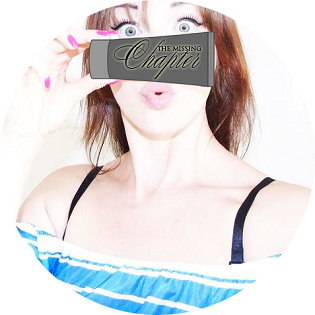 The Missing Chapter - London Lifestyle Blog: He proposed! Hey guys, how is everyone doing? I hope everyone is having an amazing time on Valentine's Day. 14th February, 2015 today Callum, my boyfriend of 6 months, proposed to me.. Lord! Am I dreaming? Pinch me! For the first time in my life I've actually got to celebrate Valentine's Day and this is what happens lol.. He planned it all perfectly just the way I've always dreamt my engagement to be. He booked a table at one Chinese restaurant in Gravesend that I've always wanted to go to. It's so cosy and cute! We headed there for 7pm, the place was fully packed and I've noticed the waitress smiling at me every time she walked past our table, not having a clue what was going on. She served us and about 10 minutes later she handed Callum rose and a ring. That's when I've realised what was on! As he went down on his knee and I heard the four words 'Will you marry me' come out his mouth I've froze. Everyone in the restaurant was looking at us smiling awaiting my answer! I couldn't get a word out from the shock and excitement! An older gentleman sat in the table on the right shouted out impatiently 'What is it then!?'.. I've tried my hardest to hold my tears in, I'm such an emotional wreck when it comes to special moments like this. What made it even more special is the fact that my Callum proposed to me on Valentine's Day! What a perfect way to celebrate V-Day for the first time. My 14th of February was perfect and my engagement ring is absolutely beautiful. Thank you baby for making me the happiest girl in the world! ..and they lived happily ever after..